Really understand the job duties: WHAT is being done that we need someone to do? Or, what WAS being done, but now we need to change those duties and profile to be hired? (We will get to the HOW the duties should be handled and the WHY later). This part is not difficult, but it does take a different kind of focus from everyday thinking about a “job”: Actually analyzing what DUTIES will be performed, daily, weekly, occasionally and once in a while. Are these individual contribution duties or are they performed with other workers? Are other workers dependent on this function? Is this function (duties) dependent on other work being done/ other people? 2) You or a small group, preferably with people who are now doing or have done the job, should look for finite/ definable things a person will be doing in the job. Not a group of duties. Doing this may seem exasperating. The list can seem to be pages. Lift a box. Put it on a cart. Match invoices with payments. Answer the phone by three rings, are examples of what seem to be singular duties. Once this is done, you only need to edit the job description once a year. 3) Are these duties dependent upon others to do something first? Are others dependent upon these duties? Define that. This shows the sequence to doing the job. 4) As you define the singular duties, assign each a % of the work day the person in the function will spend doing those things. 5) Then analyze WHAT SKILLS are necessary to do those duties. “Experience” is NOT a skill. The easy way to go off-base is to say: “experience in… and then list all the duties of the job. No one fits that. 6) Then ask WHY those SKILLS are necessary. Can these be learned or taught? By whom, how long would the training take? What FUNDAMENTAL skills would be necessary to learn these new skills? 7) Align ALL the duties from most to least time spent doing, in order. Or, align them as to importance in meeting expectations of the function. 8) Now the HOW: To do the best job possible, to have the right outcomes/ results for each duty (and the entire job) HOW should a person “do it right”? Correctly, accurately, to achieve the goal of the job? As you are answering the HOW, ask WHY it should be done that way. The “How” will then hit the “WHY”. 9) Next, what will your organization teach the person to do/ how to do/ why to do? 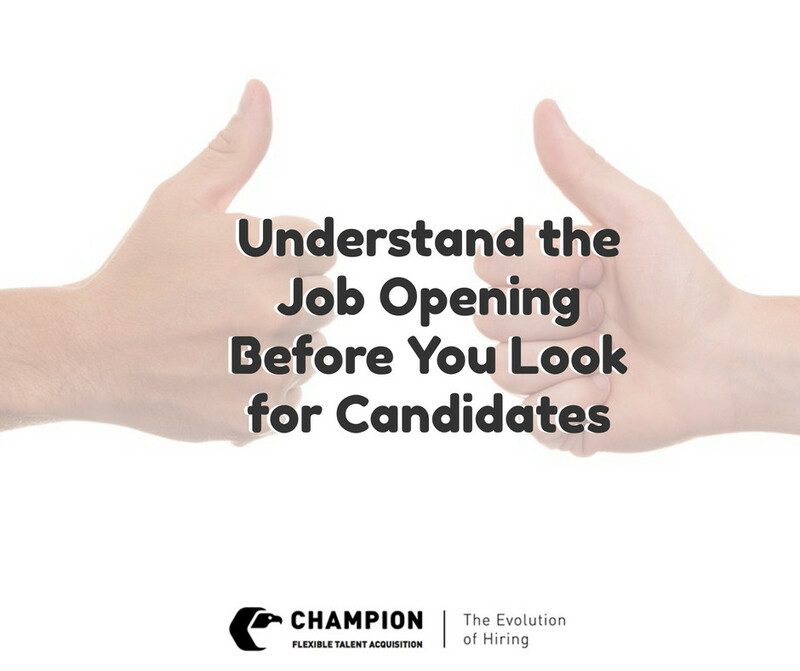 This is not simply outlining “orientation” for a new person (“there’s your job, now do it”) it is assuring an understanding and focus for the new hire (or promoted hire). 10) WHO will do the teaching? (Is that person competent?) How long will the training take? What exactly will be taught? How will you know it is being learned? 11) Write a job description that makes sense to someone NOT familiar with the job. List all the duties, teamwork or collaboration involved, this position’s place in the entire sequence of jobs before and after it. List %’s of time spent doing. 12) Then analyze the ACTUAL SKILLS needed to perform the duties. ABILITY TO DO X. Not experience. When you have isolated the skills necessary, make certain those skills are absolutely necessary. Then decide what would be GREAT to have. This will come in very handy when you create a “Profile” to be hired. 13) Skills: NOW you have come to: “What could a person have done (not counting the specific job) to accumulate those skills?” The answer is NOT NECESSARILY: “have experience in those exact duties”. Although that may be the way to go… if you can afford to pay the right person AND your organization is capable of attracting and KEEPING that person. So, other than direct experience, what could a person have done, or what kind of education (another matter altogether) could have provided that person with the necessary skills … to do (X)? 14) Now, put all this together by answering: A person who has done what (X) will have the skills to handle this job. Again, “experience” in exact job duties may not be the answer. Next: Creating a “Person Profile” to go along with your job description. This will include WHY a person qualified will want to do this job, in YOUR organization. This process will reduce turnover by hiring good people who fit, and are interested in the work itself. Compare this to the typical “Temp agency” who will hear “I need a machine operator” and send you the 30 people at the bottom of their drawer who won’t know a darn thing about the job or your company. Our system has been learned through experience in Retainer Search ($200K+) and corporate Human Resource attempts at writing and correcting job manuals. Add many more defining questions and you will have an idea of our ISO-based quality assurance platform. Want help with this process? You DO NOT have to be a client of Champion to have a senior executive from Champion come out and teach you how this (and more) is done.